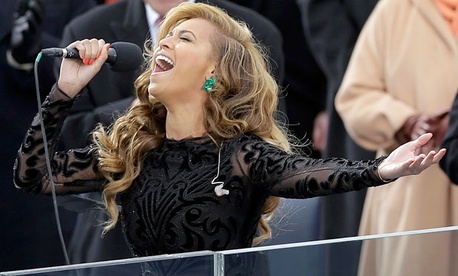 Beyoncé truthers have been working hard to discover what really happened on that fateful Inauguration Day: The Marine Corps said she was lip syncing, only to backtrack about the national anthem backing track, before Beyoncé admitted her transgression in fabulous fashion, but apparently that still wasn't enough. So far, the feds haven't bothered to hand over any sort of followup information. Of another intervening scandal of (overrated) note, President Obama recently joked, "I've got 99 problems and now Jay-Z is one." Well, count Beyoncé as another. The exemption “prohibits disclosure of personal information when an individual’s privacy interest outweighs any public interest,” we were told in the letter. Read more at The Atlantic Wire.